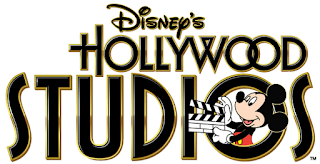 Well, once again, we've reached one of the best weeks of the summer...no...it's not my birthday week...(albeit, another fine week featured in the summer)...instead....it's Disney's Hollywood Studios Awareness Week! Admittedly enough, (and probably thankfully enough for my ever growing bucket list), I've done a majority of the attraction at The Studios. Even Tower of Terror, which I have done once and will not do again. Not because I don't think it's a fabulous attraction, because trust me it is, but more because I don't want to see my lunch for a second time. Me and that attraction just do not get along from a stomach standpoint. Which makes me so sad because I really do think the story of the attraction is one of the best ones on property. On that point, I will agree with Hochberg. However, there is one attraction that I have yet to participate in that everyone just raves about and that is The Magic of Disney Animation. I'll admit, I have done part of this attraction. I've sat in on that film that features Mushu from Mulan, but I've never gotten to participate in the main event...drawing a character. Part of this is just based on time. Every time I've ever gone by the attraction, they are right smack dab in the middle of the session and I don't really have time to wait. Part of it is also based off the fact that I simply cannot draw. Really...I can honestly only draw a stick figure...and that's really asking a lot! I am really scared what my character would turn out to look like. I can only imagine not good...even with the guidance of an artist. Another attraction I have yet to visit is Disney Junior-Live on Stage. This one may take me a few years...still not ready to have a little one yet...but I am darn sure that this will be a must stop once that event takes place! Along these lines, I would like to dine at Hollywood & Vine for either breakfast or lunch (probably breakfast...I love breakfast...seriously Disney...why is there no place on property that serves breakfast all the time?!) so that my future little one could get up close and personal with the characters from Disney Junior. Plus, this would cross off one restaurant off my bucket list. Now we all know I love to eat at WDW, but ironically, Disney's Hollywood Studios is a park I simply don't eat in a whole heck of a lot. Part of the reason is there isn't a whole lot to appeal to me at many of the restaurants, especially those that are quick service. I'm just not a sandwich kinda gal. You may remember me mentioning that a time or two. And the Studios seems to feature a lot of sandwiches. But there are a few places that I'm still dying to try. They just always gets pushed to the back burner for my beloved 50s Prime Time and their glorious fried chicken, meatloaf, and pot roast meals. One restaurant at the Studios that I'm still dying to try Mama Melrose. I'm an Italian food lover for sure. It is probably my favorite type of cuisine (after home cooking), but I've never made my way to eat here. I'll eat the "Italian" cuisine at Pizza Planet, but I've not once made an ADR for this restaurant. I would really like to rectify that here in the near future. I've also never eaten at The Brown Derby. A lot of that has to do with price. When paying for the meal myself, it's a lot easier to spend lesser amounts of money at 50s than it is to spend a huge chunk of change at The Brown Derby, but I have heard the food here really is good. However that brings me to another reason I've yet to dine here and that is that the items that make this place a favorite to so many don't appeal to me. I hate salads, so the Cobb Salad is out and I dislike grapefruit, so the Grapefruit Cake is also out. I know that there has to be something on the menu that I'd actually enjoy though. Maybe I'll make my way here to cross another item off my To Do List: Lunch With An Imagineer. This is where it takes place and it's something that I think would be so cool to get to participate in. Another thing I've yet to cross off the Bucket List is eating a Butterfinger Cupcake from Starring Rolls. This thing, while HUGE looks absolutely delicious. Plus, I love me some chocolate. And since I've already crossed one cult favorite, the Carrot Cake Cupcake off the list, that makes this one most certainly next. One final thing that I would love to do at Disney Hollywood Studios, but really, honestly don't think I'll ever get the courage to actually DO it, is to sing on stage at the American Idol Experience. Don't get me wrong. I've certainly thought about it, however, thinking about it and actually DOING it are two VERY different things. And I know myself and the fear factor would certainly get to me. I would probably very easily embarrass myself, so I will be happy to keep myself in the audience for now. No auditioning for me. Which of these Bucket List items are the best and the what is one I need to head to immediately on my next trip? What makes them so great in your eyes? Be sure to let me know in either the comments section or on our Facebook page. And in honor of Disney's Hollywood Studios Awareness week, I encourage you to talk about the Studios this week. As Matt suggests on his own site, you can blog about it, tweet about it, or even post a message on Google + and Facebook about how much you love it. Let's spread the love for such an awesome park. I think you must must make Mama Melrose a priority the next time you visit. It's a really filling meal with a fun atmosphere. My husband and I have always had a great time there, as well as the times I went there with my family when I was younger. It's a must stop for me. My To Do List: I'm Going To Disney World!